Late last week, a mother and her two-year-old son were kicked off a Southwest flight from Amarillo, Texas, to San Jose, California. Pamela Root’s child, Adam, was screaming during the safety announcements, and despite Root’s assurances that the child would calm down once they were in the air, flight attendants removed the pair from the plane. The mother then had to purchase a portable crib and diapers and return to her parents’ house for the night. The mother demanded an apology from Southwest, and the airline agreed, throwing in a refund and $300 voucher as well. But a Southwest spokeswoman told the San Jose Mercury News that while the airline regrets the inconvenience it caused the family, there are no such regrets when it comes to the decision to toss the mother and child. McInnis also said it’s rare to ask someone to leave a flight, and especially so when the passenger in question is a young child. 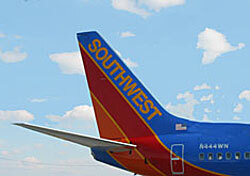 The obvious question is: Did Southwest make the right call? The airline gives its onboard crews discretion about what is and isn’t a safe and comfortable environment, as well as leeway when resolving those kinds of issues. For her part, Root claims that her son always calms down once the plane is airborne and his ears stop hurting. She was also well-prepared with books and toys for the boy to play with. Readers, should Root and her son have been kicked off? Should flight attendants have just gritted their teeth and let them stay aboard? Leave a comment below and tell me what you think.